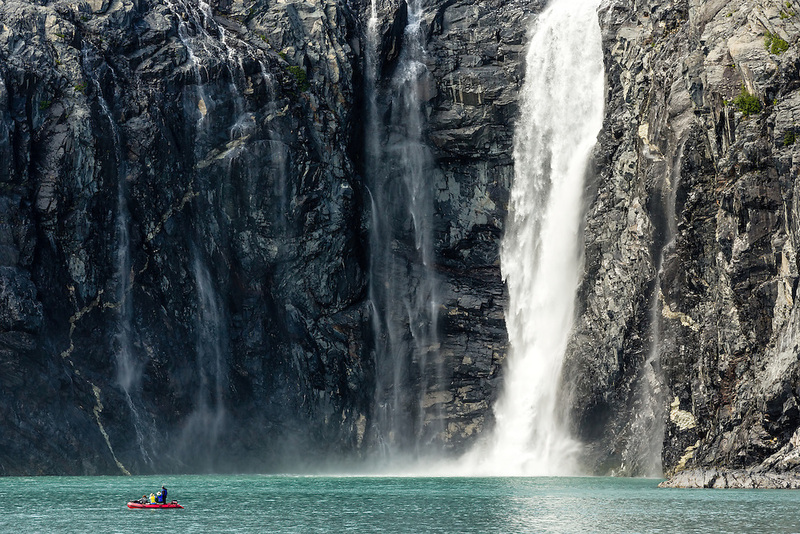 Rafters navigate along a waterfall from the Northland Glacier along Blackstone Bay near Whittier in Southcentral Alaska. Summer. Afternoon.